We have introduced a pre-vocational training unit for the older children attending our special school. They are taught to explore their artistic skills and make greeting cards and other art pieces. They also make bags and envelops, grind and pack spices, prepare tea and lemonade and many more such useful things. In the process their fine motor skills are enhanced while it also boosts their self confidence. Development Clinic at Para block. 4 satellite units at the very remote blocks Jhalda, Hura, Raghunathpur and Burabazar. The assessment & therapies are provided by a team of qualified developmental specialists, supported by a team of local health workers, selected and trained by our specialist team. 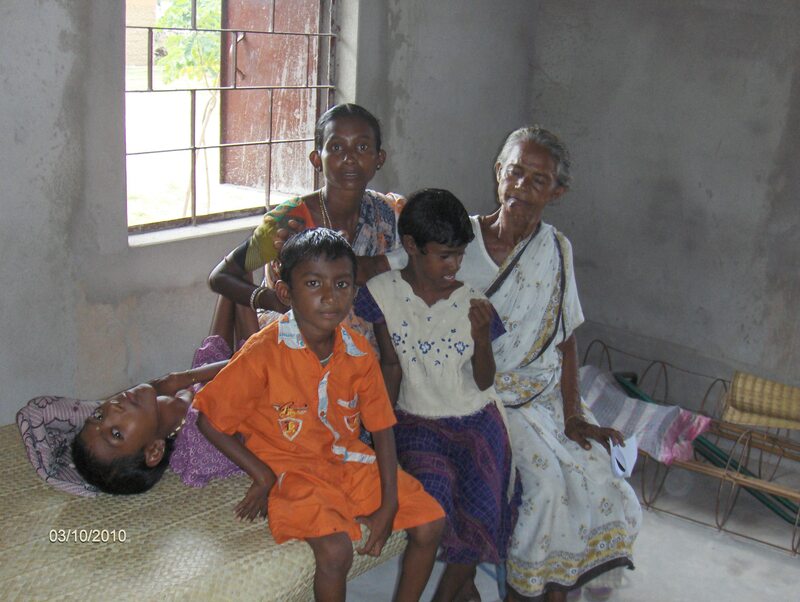 We try to promote home based therapy for these rural children, with active participation of the parents and care-givers. We have been actively involved in identification of developmental challenges in the rural community since 2012 and have been conducting screening programs across the district since then. All the identified children are followed up at the above mentioned clinics, making specialised therapy available to the so called ‘un-reachable’. We have till date identified more than 500 children with developmental challenges and around 200 children are on regular follow up therapy. We aim to serve children from every walk of life, with or ‘at-risk’ of developmental disabilities. Community programs are taken up to reach the socio-economically deprived, under-served children. We took up a project, in collaboration with UNICEF in the remote district of Purulia, West Bengal, in October ’12, where we identified all the babies who had been discharged from the SNCU (Special Neonatal Care Unit) at the district hospital over the last 30 months. That gave us a cohort of vulnerable babies, prone to become developmentally challenged. These babies hailed from every nook & corner of the district, including the remote, hilly, almost inaccessible pockets. With the help of a group of local boys we managed to identify and motivate these families to come for a follow-up check-up for neuro-developmental assessment (an assured, fully sponsored trip to the town!). The turn-over was overwhelming with 450 babies aged 1-30 months, whom we assessed and screened for developmental delay over a period of 4 days at a stretch. The results were quite alarming… almost 30% of the kids showed evidence of developmental delay. We started early intervention therapy and advised home-based management. We have been following them up regularly every month and the silver lining is that parents are showing adherence to the therapy programs and children are showing definite improvement. Thus we were able to spread the message of detection & management of Developmental challenges in children and highlight on the importance of developmental assessment, to a large section of the population concerned with child health care. The acceptance, interest and enthusiasm at all levels has been most encouraging for the Udbhaas team. We dream to see Purulia wake up to the needs of her developmentally challenged children. 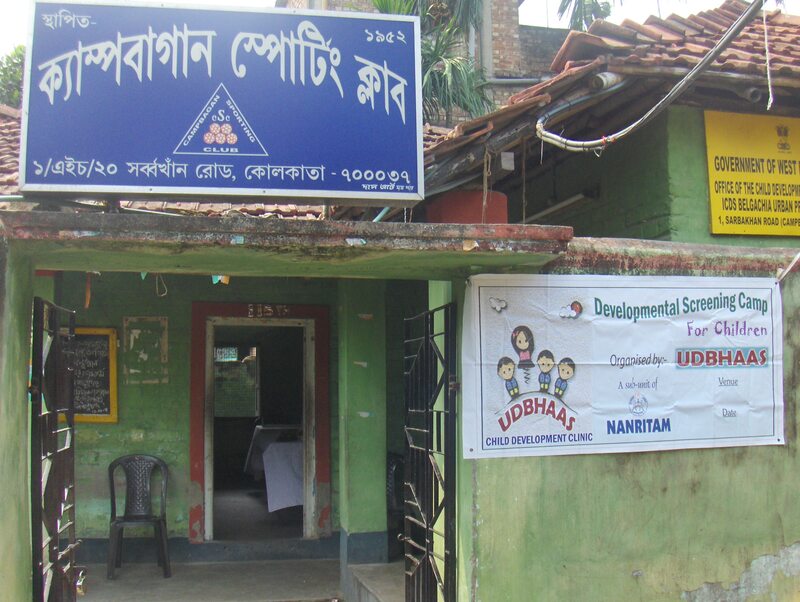 UDBHAAS successfully conducted a developmental screening camp, on 16.10.’11, in an urban slum in North Kolkata, in collaboration with Campbgan Sporting Club, for babies 0-12 months of age, for early detection of any developmental delay. to the affected kids. We also run screening camps to pick up the challenged children, fix therapy schedules for them and initiate the programs. They are followed up at home by the local care-givers, while we do a follow-up monitoring every 3-6 months. Our core focus is on Community Based Rehabilitation. All this is provided free of cost. Presently our work zone includes the slums in North & South Kolkata and a rural project area at Para block of Purulia district, West Bengal. 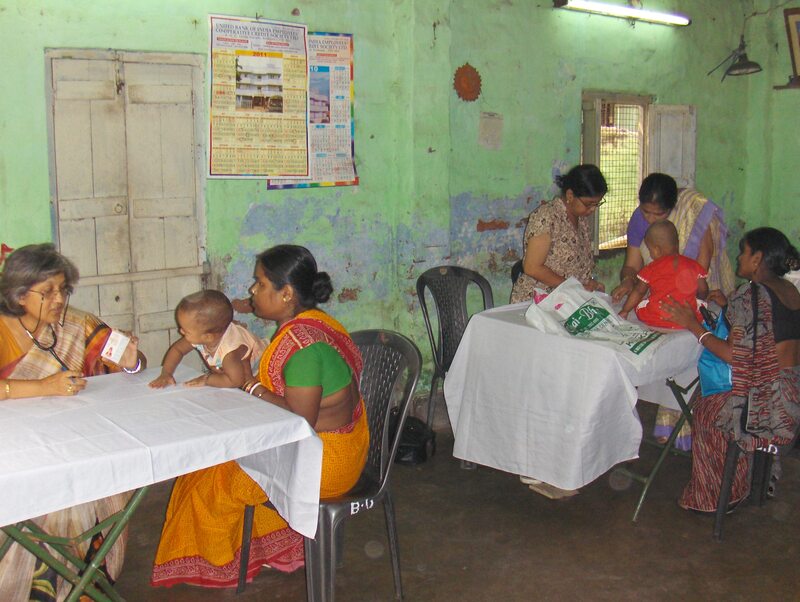 We are training up field level workers in the slums of Kolkata to identify developmental delay at an early stage through screening tests and to provide home-based early intervention. We have started working with a unit for developmentally challenged children in Purulia (Mono Bikash Kendra, Purulia), by providing screening & developmental assessment to the challenged children. A sample survey from the disabled children identified revealed striking facts of grave social and medical implication. Nirupama and Rina, two sisters were brought in by their mother & grandma from a distant village, 30 kms from our centre at Para, Purulia. The poor mother earns hardly Rs 600 per month, with which she has to tend to 2 disabled children along with the rest of the family. The older child, 13 year old Nirupama had never learnt to sit up or stand from early infancy & is now just an immobile bundle of bones. She is intelligent and communicates well. The child is eager to study, but her immobility prevents her from attending school. Disabled, she is a burden to the poverty stricken family. The next issue, Rina is physically fit but mentally retarded. She communicates very poorly and needs support for her daily activities. It is a painful wonder how this poor mother is fighting her battle.